michigan- Sunny's Pools & More! Free Pool Cue Stick Giveaway! Viscount Monroe no longer has Billiards, refer to Waterford as the clearance center for Tables. Last week we began our Free Pool Cue Stick Giveaway on Facebook! This contest was announced exclusively on Viscount Pools West’s Facebook page early to give our social media followers first priority. 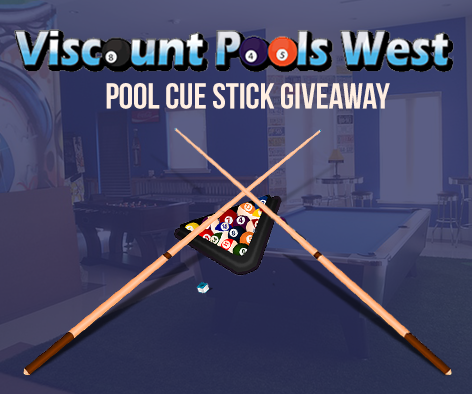 Viscount Pools West is opening up our Free Pool Cue Stick Giveaway to the readers of our blog this week! Thank you for participating in the Free Pool Cue giveaway, a winner has been chosen. Please check back with Viscount West often for one of our many promotions we hold every year. To become eligible to win, please enter to win here. Winner must reside in Michigan. 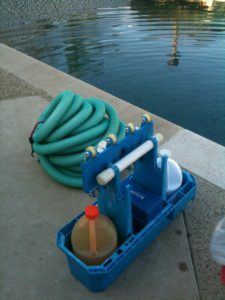 Viscount Pools West would like to wish you a happy and safe Christmas and New Year’s holiday! We have five stores across Michigan and there are plenty of events going on in the communities that we serve. If you missed Waterford’s annual tree lighting event last week, don’t fret because this weekend is Waterford’s Holiday Bazaar Craft Show & Green’s Market. This event lasts until Saturday and has free admission for all. The Monroe County Historical Museum is having its 36th annual Christmas Tree Festival from now until December 30th. This exhibits features over 60 trees and wreaths decorated by students from the school systems and other service organizations in the community. Right down the street from Macomb, MI is the Big, Bright Light Show in downtown Rochester. Downtown will be covered in more than 1 million points of light. This show will go on until January 4th. 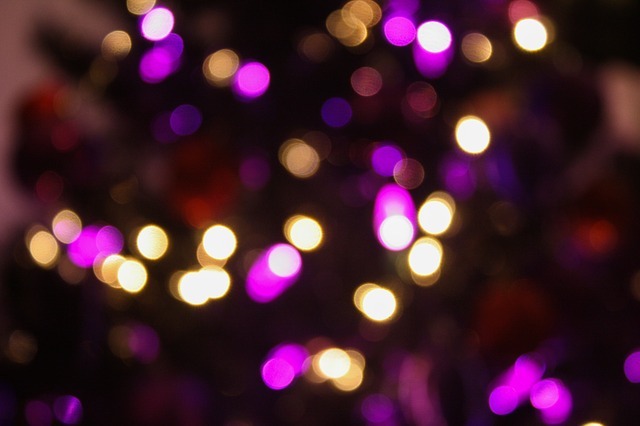 The largest and longest light show in the Midwest is just a few minutes away from our Livonia residents. The Wayne County Lightest covers over four miles of Hines Drive. It features 47 giant animated themed displays. It’s only $5.00 per vehicle. This Sunday only from 1:00- 4:00 pm you can bring your child that is 10 and under to visit Mrs. Claus at the Flat Rock Historical Village. This event is open to Flat Rock residents. Each child will also get a gift. Finally, thanks for being valued customers of Viscount West Pools. We appreciate you! Have a happy and safe holiday!